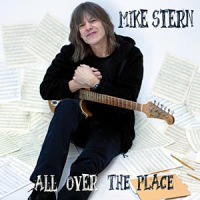 One of the most esteemed electric guitarists of his generation, Mike Stern has distinguished himself over a four-decade career that has encompassed musical partnerships with Blood, Sweat & Tears, Billy Cobham, Miles Davis, Jaco Pastorius, the Brecker Brothers, and Joe Henderson. He has made 16 record as a leader, six of which were nominated for GRAMMY® Awards. 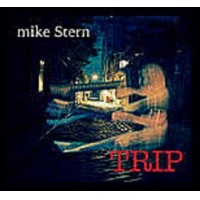 Stern is an electrifying soloist whose blistering chops combine rock-fusion firepower with sophisticated jazz harmonies, and an inherently bluesy string-bending prowess. He has the ability to instantly elevate the proceedings on any gig or session he plays, channeling the spirits of his own personal guitar heroes Jimi Hendrix, Wes Montgomery, Jim Hall and Albert King. On his latest recording, "Eclectic", Stern goes toe-to-toe with Texas guitar slinger Eric Johnson in a scintillating, six-string summit meeting that is manna for guitar aficionados. As the title suggests, these two modern-day guitar heroes cut a wide stylistic swath on eleven originals, and showcasing their mutual love of Hendrix on the iconic blues, "Red House." Unlike his previous recording, "All Over the Place", which featured a sprawling cast of characters, "Eclectic" was recorded in three days at Johnson's studio in Austin. 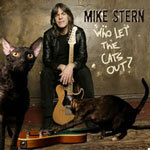 The core group also includes bassist Chris Maresh and drummer Anton Fig (with only a few selected guests, including Mike's wife Leni Stern on n'goni and vocals, and singer-songwriter Christopher Cross on backing vocals). 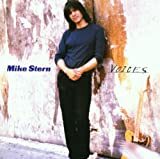 Stern says of the record, "My records lately have been with a whole bunch of different people, but this was really cool to just have one group and barely add any overdubs," says Stern. "It was really kind of live, which I have always liked to do. We just set up and played. And because it was Eric's studio, no one was looking at the clock. So the record really went down fast, but we had plenty of time to do it."